This office has a contemporary yet industrial designed look that will be ready for occupancy in the summer of 2013. 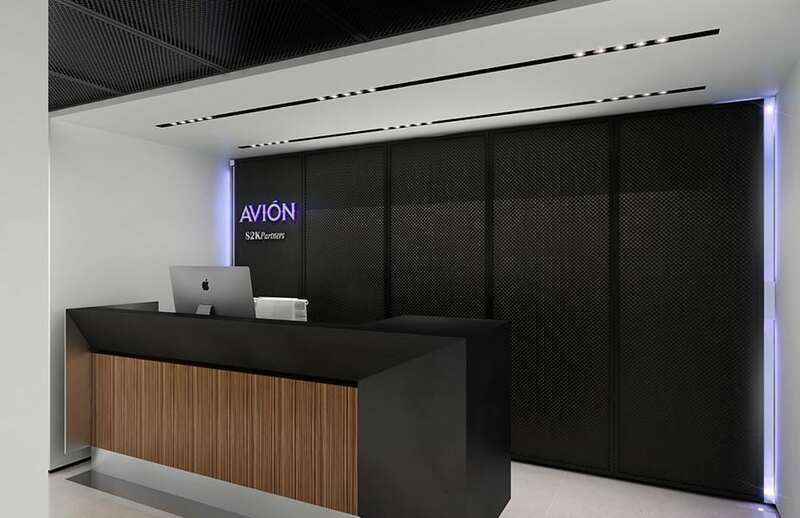 The custom designed reception desk has black metal, wood and stainless steel accents. A simple color palette of bright whites and black lacquer cabinetry wall panels were used to create a timeless and bold contrast. Perforated metal panels on the ceiling and walls emphasize an industrial design. 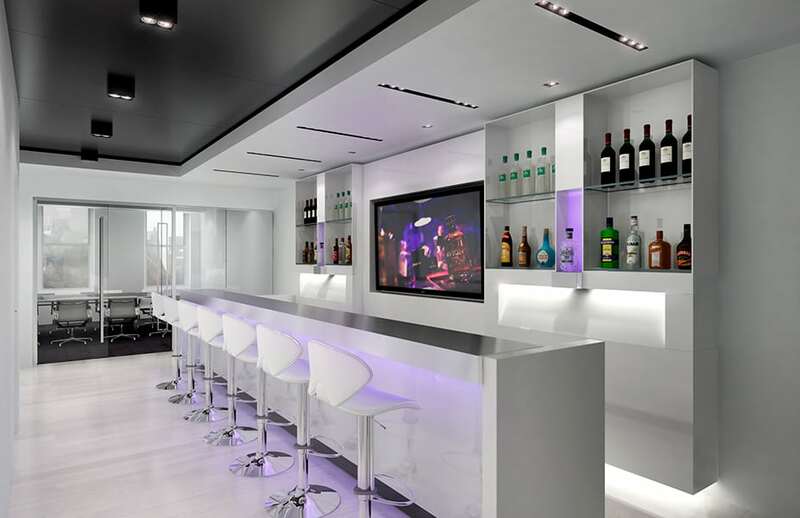 The second floor has a custom bar of high polished white lacquer cabinetry and a stainless steel countertop. 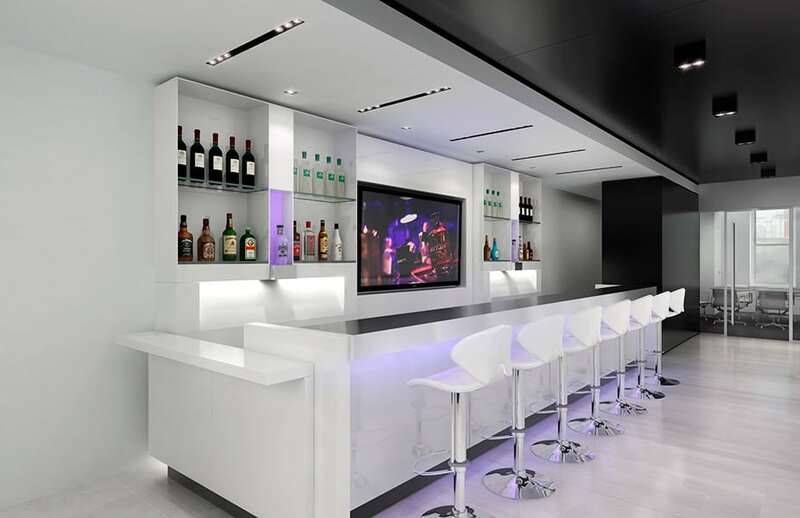 The LED accent lights highlight the architectural features and the company’s product. This unique bar element was imperative for our clients’ needs in promoting their exclusive tequila products. The third and fourth floors consist of open office workstations, five private offices with glass wall panels, and an executive office. This original project gave us the exciting opportunity to branch-out from your typical corporate headquarters.